Really, don't use that term. 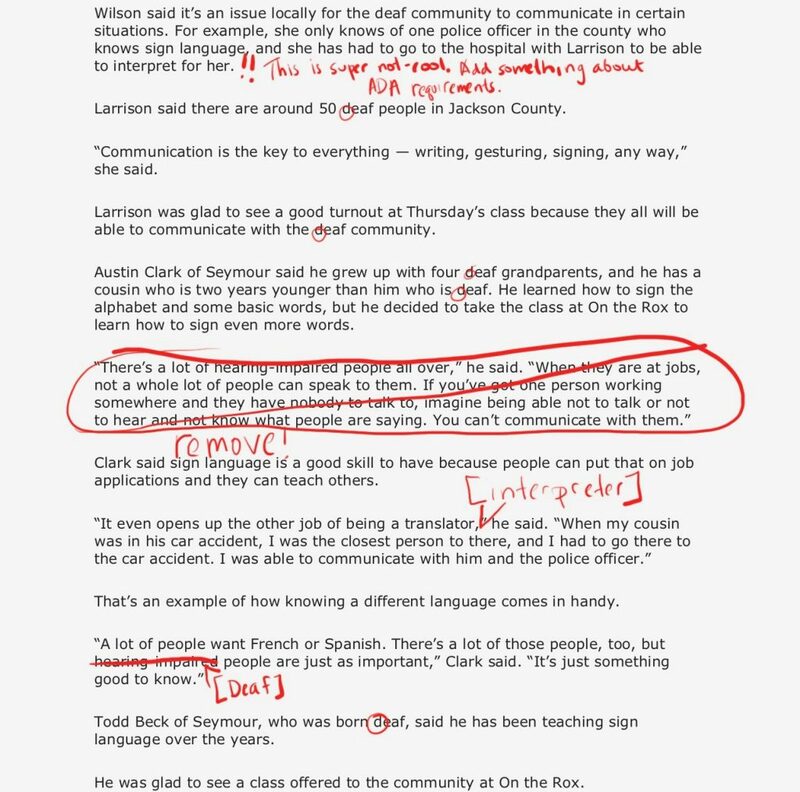 “Hearing Impaired” is problematic. “Deaf mute,” though… that’s next-level. 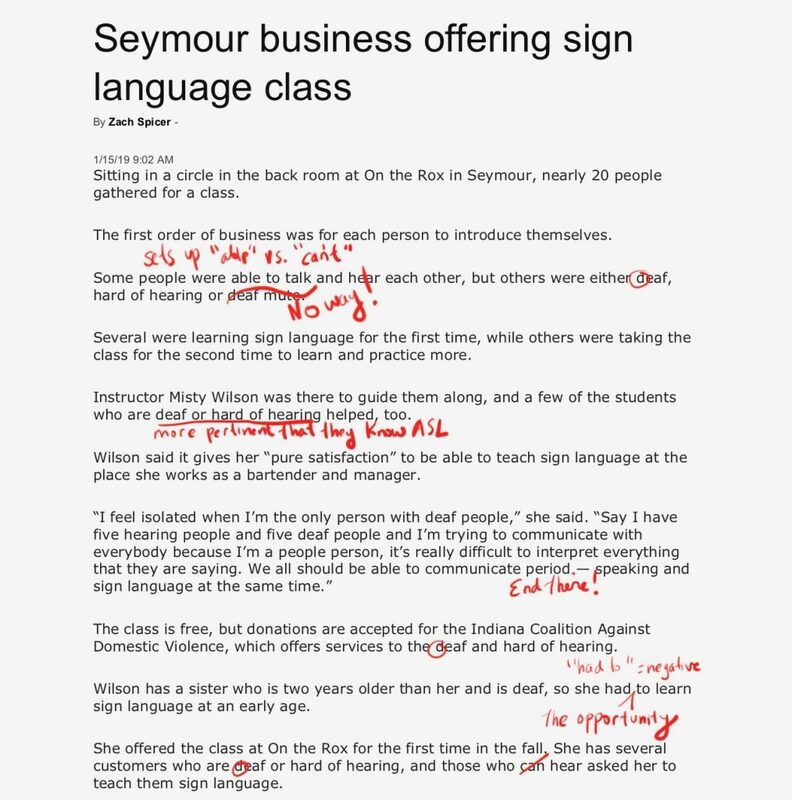 And both terms are featured in this well-meaning but mistake-laden article from the Seymour Tribune, a newspaper from Seymour, Indiana. So what’s wrong with “deaf mute”? Partly it’s just the history – it’s one of those words/ terms that has gathered a lot of negative connotation based on how it was used. The context is redolent of discrimination, victimization, belittling, and more. In addition to all of that, though, it’s plain inaccurate. Deaf people, as a group, do not have any particular problem with their vocal cords. We can create sound just fine – it’s just a matter of whether that sound resolves itself into speech that is easily understood. Dated and offensive – we agree! The hearing perspective is centered. Voluntarily learning sign language is cast as something at least minorly heroic; a person with a Deaf sister “had to” learn ASL. 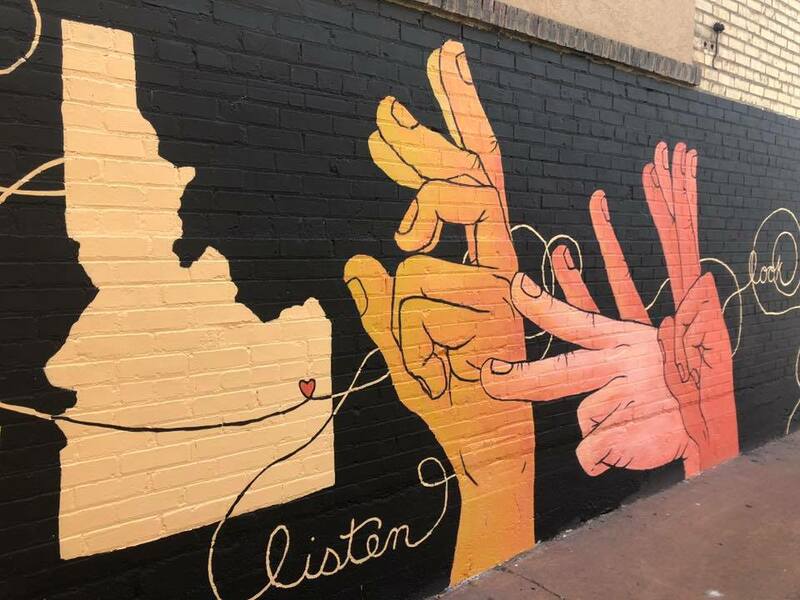 Deaf people are cast as happily doing the work of teaching hearing people how to communicate with them, when that shouldn’t automatically be the Deaf people’s burden. The problem of communication is located largely with Deaf people, rather than with the hearing people who might find ways to communicate. Downright illegal practices re: interpreting and hospitals/ police are presented neutrally, without critical examination. 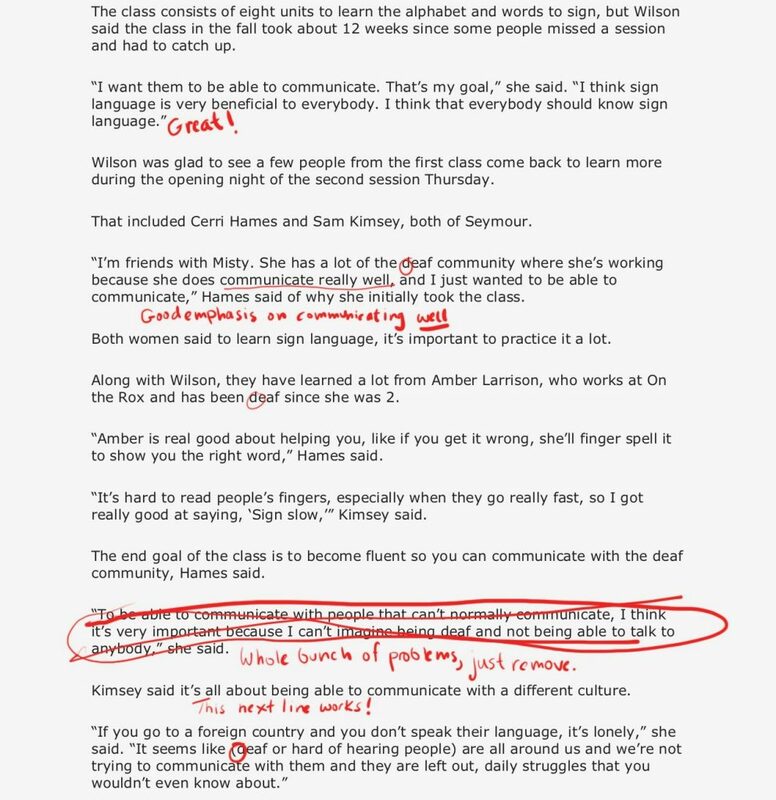 We’ve marked up the original article, and provided some minor rewrites that change the emphasis and messages a great deal. There are also some things the article got right! We point those out, too. Here’s how we’d rewrite it – what about you?